The 2016 presidential election cycle is in full swing with the field narrowing as we move deep into primary season. 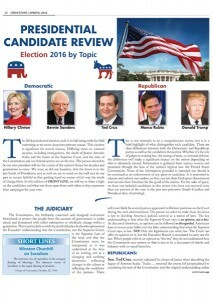 Our Voter’s Guide is part of the Spring 2016 Front Line. It is broken down by topic and is free to download, just click here.